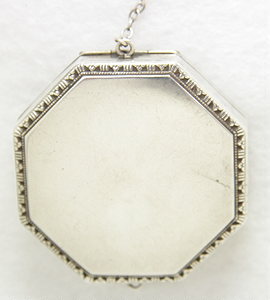 This antique art nouveau chatelaine has lovely matched pieces. 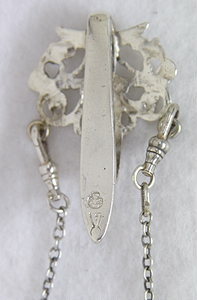 An angel crowns the chatelaine along with flowing scrollwork. 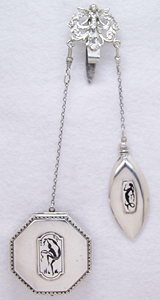 The powder and scent bottle are crafted out of sterling silver with black emaux peints French enamel. There is a hook for a purse as well. Circa: 1910.